Einstein struggled with the quantum demon and his famous sentence, “God does not play dice” is related to these struggles. Quantum mechanics does have this slippery characteristic. And yet quantum mechanics is an incredibly fruitful theory, which describes most fundamental phenomenon of our world. It allows us to peek into the very core of matter, at the forces creating and governing the infinitesimal particles constituting the Universe. In Quantum, Einstein, Bohr and the Debate on the Nature of Reality, British writer Manjit Kumar shows how pioneers of this stupefying science were worried about making their research accessible to layman. The book is a historical narrative of the development of the quantum theory, from the first reluctant introduction of the term quantum by Max Planck to the development of the whole theory by Niels Bohr and his group of Young Turks of theoretical physics. 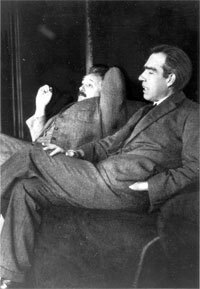 This debate between Bohr and Einstein about the meaning of reality itself, in which almost all the pioneers sided with Bohr is the most enjoyable part of Kumar’s book. Einstein believed that an electron exists and it does so at a particular place, regardless of whether it is being observed. Bohr, in contrast, believed that “until an observation or measurement is made, a microphysical object like an electron does not exist anywhere, and it was not possible to make the separation that existed in classical physics between the observer and the observed”. Kumar trained as a physicist and his descriptions of the “thought experiments” with which the two giants tried to outwit each other are lucid. He shows how Einstein’s doubts kept the philosophical debate about quantum theory alive. Pity the entire book is not geared around this episode — as its subtitle misleadingly implies — since it brings into focus quantum theory’s puzzling core.